Is This Insane 1000 HP Autonomous Batmobile The Faraday Future Concept? Now that CES is an auto show, all eyes are turned to the mysterious Chinese-backed company Faraday Future and the car that’s been touted as the next great Tesla fighter. But if art that reportedly came from the company’s app is to be believed, this concept is even wilder than anyone could have dreamed. 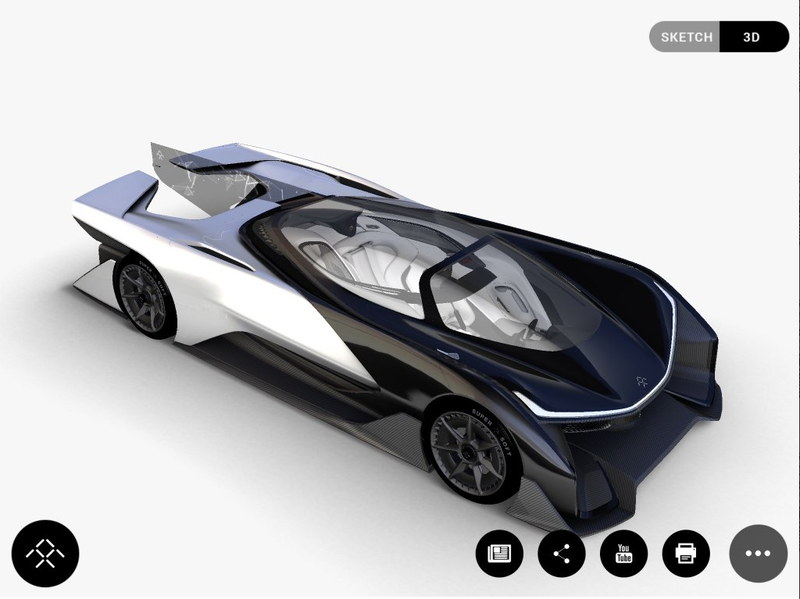 Twitter user @superogatory dug up these images from what’s said to be Faraday Future’s iTunes app, possibly released prematurely (and no longer available.) While we don’t know if they’re legit or not yet, they certainly seem to be in line with the company’s aesthetic and other teasers we’ve seen. The images describe the car as being electric with more than 1000 horsepower, a zero to 60 mph time under three seconds, “customizable modular string battery technology”, whatever the hell that is, and an aerodynamic rear tail fin that doubles as a digital display. It also appears to have two seats lined up in a row, like a jet fighter. If these images are authentic, then this concept is way more out there than your average Tesla Model S sedan—and a lot less pragmatic for everyday use. Which isn’t to say it isn’t do-able, just that it definitely seems more a sign of things to possibly come than an actual production car. Even so, Faraday Future has already succeeded in generating a ton of hype, thanks to huge amounts of funding from Chinese billionaire Jia Yueting and plans to produce cars by 2017 at a Nevada plant for which the company has already secured $335 million in state incentives. We’ll find out today if it’s the real deal or not. Faraday Future’s CES press conference is tonight at 8 p.m. PST, 11 p.m. EST and you can watch it online here. Big that tip to Patrick H.!